Philip Rivers is 36 years old and this offseason and last the Chargers have shown an effort in finding quarterback depth. 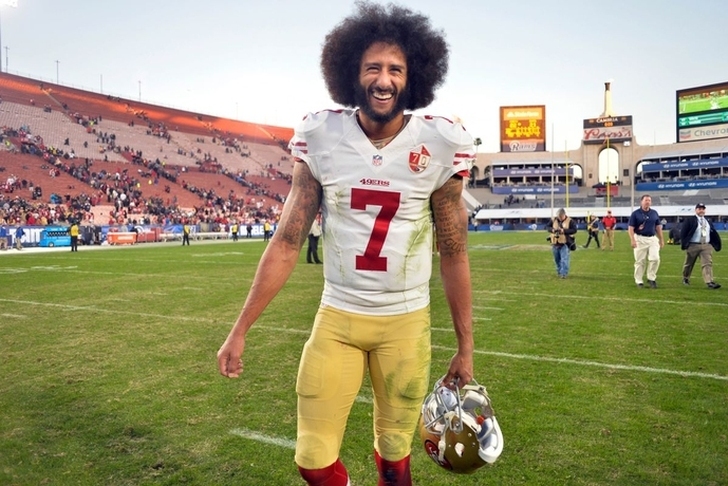 The Chargers signed Geno Smith and Cardale Jones, so perhaps they will add Kaepernick to the competition. Drew Brees isn't getting any younger at age 39 and recently signed a two-year deal with New Orleans. If there is one coach who could get the most out of Kaepernick's talents it could be Sean Payton and his clever offense. Kaepernick was spotted in Houston working out earlier this offseason, which sparked the discussion of Kaepernick heading to Houston. Last year the Texans lost their starting quarterback Deshaun Watson and once he was injured Kaepernick was rumored to be an option for Houston. Kaepernick isn't the passer that Watson is, but his mobility might be an easy transition for the Texans offense if Watson is ever injured again. The Cardinals signed the often injured Sam Bradford this offseason and may need to find a back-up in case he misses time again. The Cardinals have been rumored to multiple quarterbacks this offseason and perhaps they sign Kaepernick for at least some depth. The thought of a run-pass option with David Johnson and Kaepernick is interesting to ponder. Raiders head coach Jon Gruden hasn't been afraid of the media this offseason releasing popular players. The Raiders backup to quarterback Derek Carr is a major question mark and Gruden even said himself he is surprised Kaepernick isn't on a roster yet. I don't think it's a stretch to say that Kaepernick is better than Connor Cook, Josh Johnson, EJ Manuel and Trent Edwards.